This special festive pack contains treats with a difference as they are fully supplemented with all of the essential vitamins, minerals and anti-oxidants that your leisure horse or pony needs for a healthy lifestyle. They are easy and convenient to feed as they can be fed from the hand. Ideal for horses and ponies prone to weight gain or laminitis, as part of a weight control/management programme and for horses and ponies that do not require hard feed. 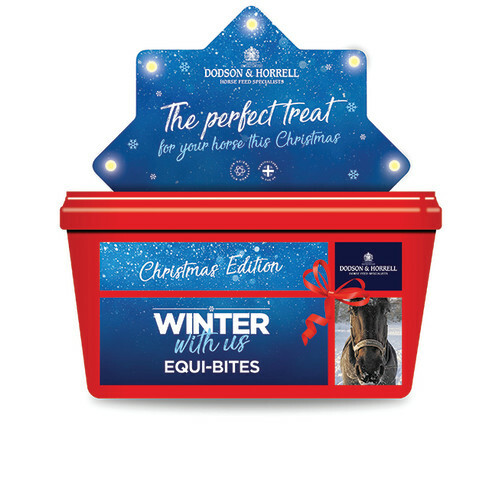 There are currently no questions for Dodson & Horrell Christmas Equi-Bites - be the first to ask one!